NIAGARA FALLS, ONTARIO – Concordia Lutheran Theological Seminary (CLTS) is inviting members of the wider church to participate in the seminary’s opening retreat of the 2014-2015 academic year. The retreat will take places August 28-29, 2014 at the Mount Carmel Spiritual Centre in Niagara Falls. The featured speaker for this year’s event will be Rev. Dr. John Kleinig of Australia. His topic will be “The Spiritual Disciplines,” which is geared toward pastoral development but also highly relevant to lay people. The retreat includes a series of reflective prayer services, including late evening Compline in Mount Carmel’s beautiful main chapel, and gives new and returning members of the seminary community the chance to make and renew acquaintances over meals, during free time, and while visiting the Falls. See the full schedule here. 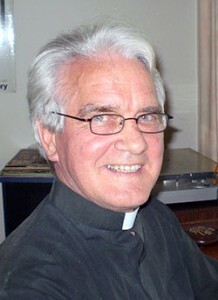 Dr. Kleinig was a professor of Old Testament studies and worship at Australian Lutheran College in Adelaide from 1982 until his retirement in 2009. The Cambridge-educated theologian is widely regarded for his contributions to contemporary confessional Lutheranism. In October 2013, a banquet fêting Dr. Kleinig was held in Springfield, Illinois, at which time he was presented with a Festschrift written in his honour. The book, entitled You, My People, Shall Be Holy was edited by two of CLTS’ academic staff: Professor John R. Stephenson and President Thomas Winger. It can be ordered online from Lulu. For more information on the seminary retreat or to register, please contact Linda Lantz at concordia@brocku.ca or by calling (905) 588-2362, extension 22. The registration deadline is August 1. The full cost of the retreat is $150, though local guests may opt out of some meals and accommodation.